Ok, maybe these aren’t sooo “personal” sized. Instead, you could grab 2 spoons and share - or not. They’re actually not all that much more than a large piece of pie. I’ve been seeing more and more of these mason jars around - & they are being filled with all sorts of goodness. 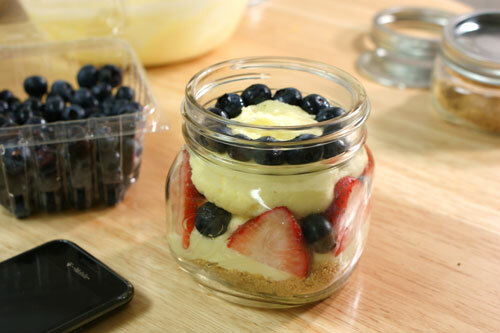 For example – just take a look at these little cheesecakes in a jar. 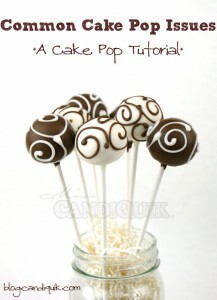 Or Bakerella’s – YUM, or how about this one I found on pinterest. Swoon. 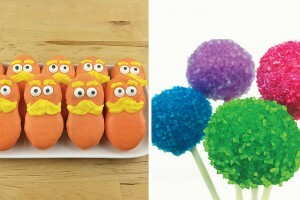 So go ahead, make these in advance, pull out when needed. What’s not to love?! I used my super easy, no bake recipe for vanilla cream pie. Then I layered it with fresh strawberries and plump bluberries. And the crust? No bake as well – I found myself digging all the way to the bottom to get a little bit of crust in each bite. Next time – double crusting it. Yep, go ahead – add another layer of the graham crust in the middle! Genius. 2. Melt CANDIQUIK according to directions on package. 3. 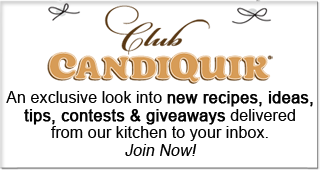 In a large bowl, mix softened cream cheese, CANDIQUIK and vanilla pudding powder with mixer, until well blended. 4. 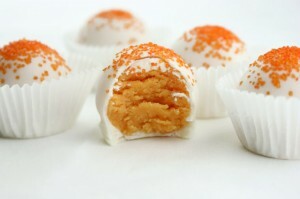 Fold in whipped topping, half of a container at a time and mix until well blended. 5. 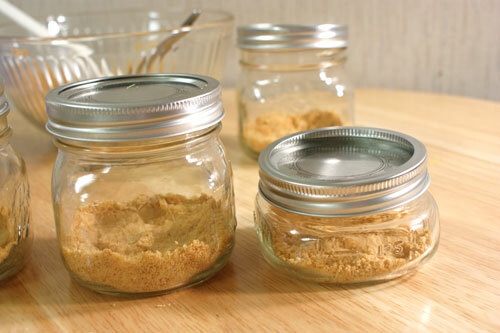 Carefully spoon mixture into a piping bag or a large plastic bag w/ a corner snipped off (easier to handle vs. spooning into the jars) and pipe into each jar – covering the bottom 1/3 of the jar. Add a layer of fresh strawberries and blueberries. this picture was obviously photobombed by my cell phone. 6. 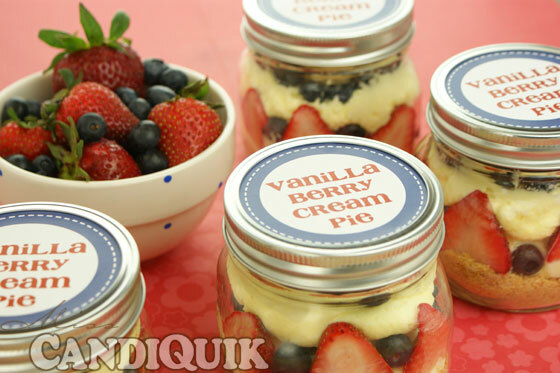 Pipe or spoon another layer of cream pie into the jar and top with berries. Super yum! 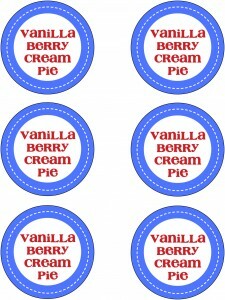 I just made jar pies too, coming Monday. I love making things in jars, they are just so much cuter. 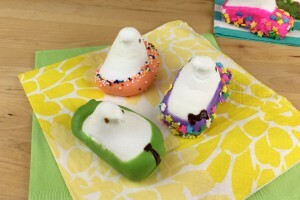 These are so adorable (and delicious I’m sure!)! And your photos are beautiful! Love! Thanks so much, Printabelle. Have a great day. 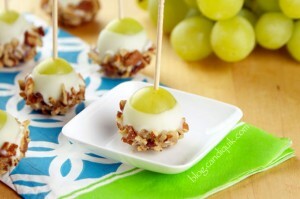 I love the idea of freezing these! 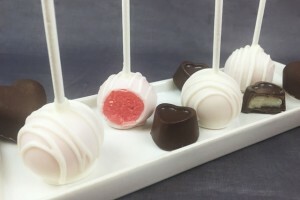 But not of sharing These look too good for that! I agree, I’ll keep them to myself! THanks for stopping by and have a great day! Um, YUM. Sign me up for fifty jars of this stuff; I wouldn’t be able to keep my hands off of it. These are so cute! 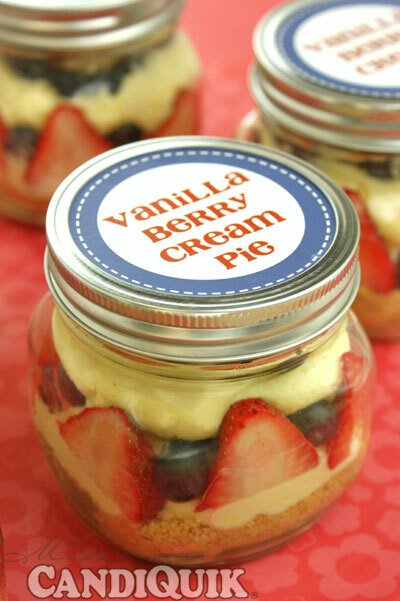 There’s just something about desserts in a jar, and vanilla berry cream pie sounds amazing. 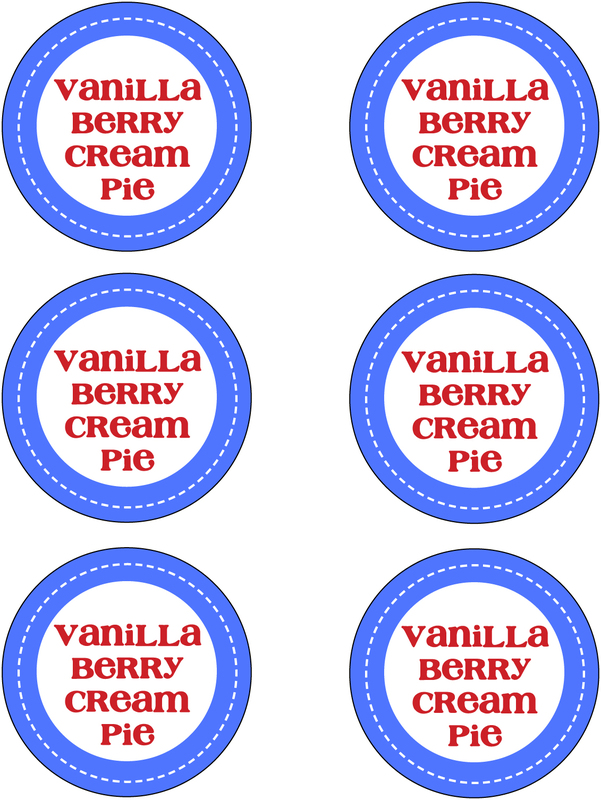 The jar labels are adorable. I agree, love the idea of the jars. Thanks for stopping by, Shirley! I adore all things in jars…they are just too cute!!! And with vanilla cream and berries…you have a winner for sure!!! Hi Jocelyn, I agree. Thanks for stopping by! YUM! These look great… totally think you are right about doubling up the crust next time. Thanks for linking up to Pin It Thursday!